One of the most comprehensive enzyme supplements available today. * • A broad-spectrum multiple enzyme formulation that contains 7 digestive enzymes along with ox bile, pancreas substance and betaine hydrochloride. 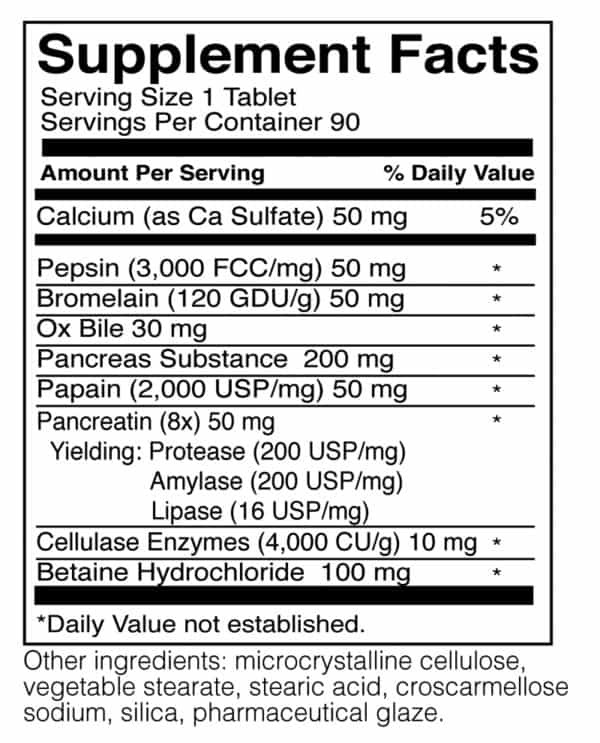 Digestive enzymes are secreted along the G.I. tract and are essential to the breakdown of foods, enabling nutrients to be absorbed into the bloodstream for use within the body. 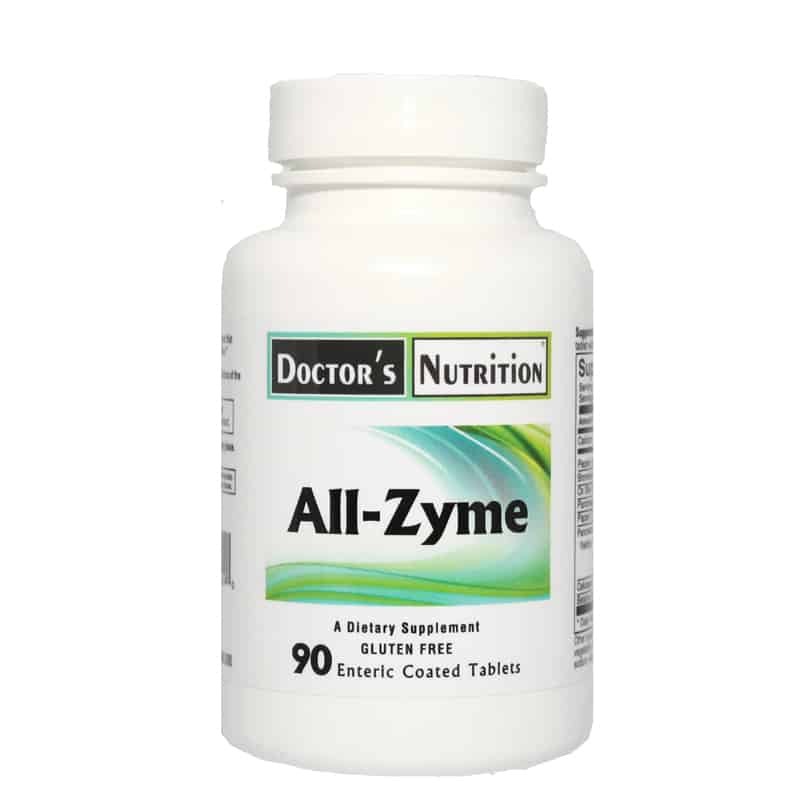 Each enzyme in All-Zyme™ works on a specific substance in the body. Betaine Hydrochloride provides a source of hydrochloric acid, which is not considered a digestive enzyme, but is necessary for the proper function of enzymes. Enteric coated – Ox Bile and Pancreas Substance are enteric coated to ensure their release in the body at the proper digestive interval. This product is free of citrus, corn, egg, gluten, milk, rice, soy, wheat, yeast, added sugars, synthetic dyes, artificial flavorings and preservatives. Suggested Use: As a dietary supplement, take 1 tablet with each meal, or as professionally directed.